Truck accidents are often disastrous. If you have been involved in one then you know exactly how it feels. Some very unfortunate victims pay the ultimate price while some are fortunate enough to escape with just injuries and/or trauma. If you are fortunate to be alive, then you are also fortunate enough to make accident claims and get fully compensated for the tough times. It is advisable to let a dependable truck accident attorney handle the case if you are to maximize your chances of coming off successful. 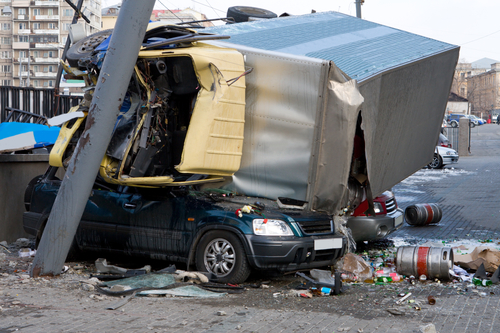 Rawa Law Group is a go-to legal firm if you want to hire a dependable truck accident attorney in Newport Beach, CA. We are a superior legal firm that boasts of some of the best legal personnel in the whole of the state of California. We have the welfare of injured individuals at heart and we do everything to give them the needed legal representation and undivided attention to help win their case. Our services come at no upfront costs to you and our attorneys divulge sound legal advice to you during your free consultation. Also, we will only need your money when we have won your case! As your case is handled by us, we ensure that you are aware of everything that we do or say so that you possess a presence which is your right. You also do not need to worry about appointment hours – we make appointments with you really flexible as it suits you. If you like, we can make home/hospital visits to further learn about your case. To hire a dependable truck accident attorney in Newport Beach, CA, get in touch with Rawa Law Group using the address below.